Well, we have the first attack ad of the season as the ALP took aim at Turnbull’s tax measures. We’re at the start of a long road. 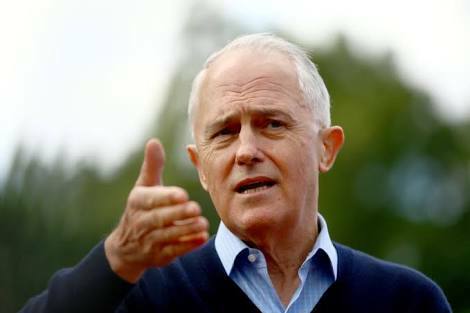 The opposition is seeking to turn the battle over company tax onto Malcolm Turnbull’s personal wealth, with an attack advertisement declaring the Prime Minister stands to profit if the cuts for big business are passed. The inflammatory ad runs as the government is making a last ditch effort against the odds to gather Senate support for the company tax legislation, due to be voted on this week. It also comes after Labor frontbencher Anthony Albanese on Friday distanced himself from Bill Shorten’s assaults on the top end of town. The advertisement says: “Why is former banker Malcolm Turnbull so keen to give big business a tax cut instead of properly funding our schools and hospitals? Who exactly is he looking after? Malcolm Turnbull – is he just for the top end of town?”. The tax cuts for big business are directed to companies with a turnover above $50 million annually. ReachTEL polling in the Queensland seat of Longman done last Thursday, commissioned by the progressive think tank The Australian Institute and released on Sunday, has the Labor and Liberal National Party candidates 50-50 in the two-party vote. A majority of people don’t feel they have benefitted personally or don’t know if they have gained from Australia’s sustained economic growth. The ALP’s Susan Lamb is fighting to regain the seat after resigning in the citizenship crisis. Labor’s primary vote was 39.1% and the LNP was polling 34.9%. One Nation was on 14.7%. In Mayo, the other seat polled, the Centre Alliance’s Rebekha Sharkie, who also resigned over her citizenship, is leading the Liberals’ Georgina Downer 62-38%, widening her margin from her 58-42% lead in earlier polls. Nationally, a Fairfax Ipsos poll, published in Fairfax Media on Monday, shows Labor leading the Coalition 53%-47% on the two-party vote. Turnbull has a 51%-33% advantage over Shorten as preferred prime minister. In Longman, only a third of voters supported cutting company tax for large businesses; in Mayo just one quarter did so. The government has flagged it will put the legislation to the Senate this week – the last before the winter recess – even if it is headed to defeat. Several crossbenchers are opposed to the cuts, including Pauline Hanson and the Centre Alliance senators. The government has reiterated that it won’t split the bill to have a lower threshold that would exclude the banks. Turnbull said on Sunday that Australia’s 30% rate for larger companies was the second highest in the OECD. Only Portugal had a somewhat higher rate. A nationwide poll of nearly 3,000 people found nearly eight in ten people believe the gap between the richest and poorest Australians is not acceptable. Friday’s Albanese speech has handed ammunition to the government. The broad-ranging address was seen as Albanese positioning himself in the event of Shorten doing badly at the byelections. Questioned on Sunday, Shorten said his office got the speech before delivery and “there was nothing in that speech which caused me any offence at all.” He and Albanese had had “an amicable chat” since the speech. “Let me make very clear for the record my views on big business. I will work with big business – I just won’t work for big business. I’m not anti big business – I’m just pro worker, I’m pro small business, I’m pro farmer, I’m pro pensioner,” Shorten said. A nationwide poll of nearly 3,000 people commissioned by the Committee for Economic Development of Australia (CEDA), published on Monday in a report called Community Pulse 2018: The Economic Disconnect, found that a majority of people don’t feel they have benefitted personally or don’t know if they have gained from Australia’s sustained economic growth. It also found nearly eight in ten people believe the gap between the richest and poorest Australians is not acceptable. Releasing the results, CEDA chief executive Melinda Cilento said: “Only 5% of Australians reported having personally gained a lot from our record run of growth, while 74% felt larger corporations and senior executives have gained a lot. “A decade of stagnant incomes and cost of living pressures in areas like health and electricity are contributing to this feeling but waning trust in business and politics are also likely factors,” Cilento said.